TOP SELLER! 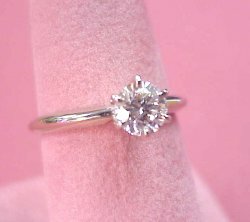 Our 0.25CT TW Diamond Anniversary Ring! 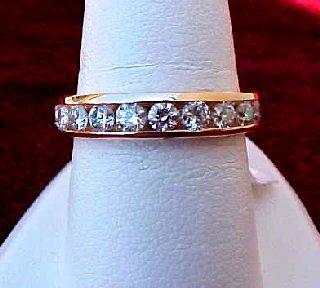 9 beautiful round brilliant fine make diamonds of G-H Color, VS2 Clarity, all perfectly channel set in solid 14K white or yellow gold mounting! 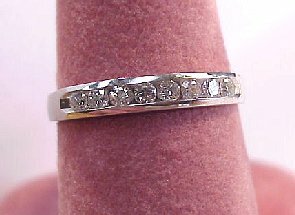 She will love this nice anniversary band with 0.10CT TW of round brilliant cut diamonds of G-H Color, SI1 Clarity. 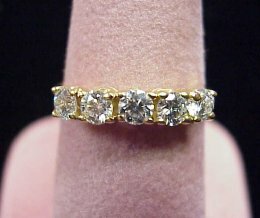 Available in 14K yellow and white gold. 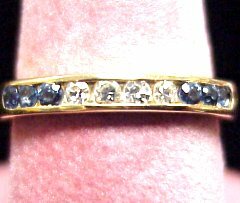 This custom band is set with six (6) round sapphires and four (4) round diamonds set in 14K gold. 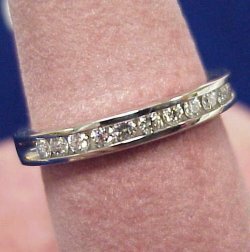 One of our more popular rings with 11 round brilliant diamonds for an approximate diamond weight of 0.25CT all set in timeless platinum! 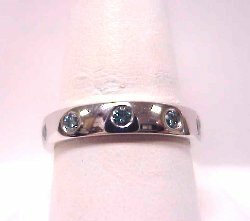 How often do you see 10 lovely BLUE diamonds with a total carat weight of 0.50CT set in platinum? Only at DiamondsHere! 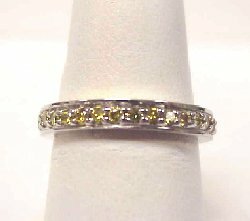 Separate yourself from the ordinary with this beautiful ring of Yellow Canary diamonds with 0.68CT TW set in fine platinum. 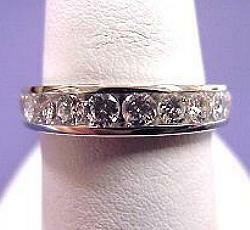 A popular anniversary channel set ring with 10 round brilliant cut (0.75CT TW) diamonds! Dazzling G Color, SI2 Clarity, all channel set in 14KW gold! 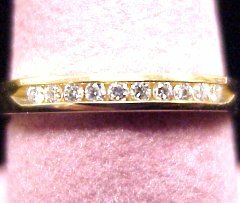 She will love this anniversary band set with ten round brilliant cut diamonds (0.75CT TW) set in stylish 14K gold! WOW! 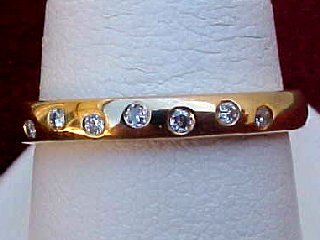 5 round brilliant diamonds (0.75CT TW) of G Color, SI Clarity, prong set in 14K gold. A stunning piece of fine jewelry. 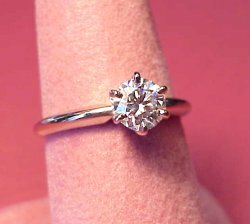 0.08CT TW of round brilliant diamonds set in 14K gold!